Known for incorporating eye-popping photographs into his work, Simon does an incredible job of carefully choosing the compositions in this book. As he explains, “photographs I use in my books have to be accurate, informative, and highly dramatic. They have to have the “GEE-WHIZ” impact on the viewer.” (Vardell 2008, 250). This description is certainly true of the photos presented here. Perhaps Booklist describes the photographs best when they point out that ”they’ll draw a crowd and a chorus of ‘Gross.’” Additionally, Simon uses alternating brightly colored pages and alternating fonts in the headings, which both contribute to a great visual experience. In terms of accuracy, readers can trust the information presented knowing that Simon has a great reputation in the field, having written over 250 books on science subjects (Vardell 2008, 249). Photo credits are available on the inside front cover. Although the title of the books suggests a possible stereotype, Simon presents facts in the text that subtly subvert these stereotypes. Text is clear and interesting, and Simon’s passion for the subject shines through. Throughout the course of the book, we learn that devil rays have the power to turn over a boat (Simon 2001, 22), the great white shark’s teeth “can rip though wood and even metal (8), and after the first severe front, an entire colony of wasps dies (44). The presentation of the text and Simon’s careful word choices will feed the curious minds of many children. The overall presentation of the book is well organized. A table of contents is presented in the front of the book which allows children, especially struggling readers or early readers, to pick and choose what text to read without being overwhelmed by the book as a whole. Generally speaking, Animals Nobody Loves caters to a younger audience, as text appears in 2-3 brief paragraphs that present information on twenty different animals. This would not be an ideal book for older readers who are conducting a report on a single subject, as not enough information is presented. This book, however, would be a great starting point to grab children’s interest on a subject and inspire them to do more research. Introducing a KWL chart (What I Know, what I Want to know, and What I Learned) would be a great way to help children process information presented in Simon’s text as well as learn “how to use and understand this genre fully” (Vardell 2008, 260). In the beginning of the program, children could discuss what they already know about the subject as well as what they want to know and after they reading, what they learned. All of this information could be written in an enlarged KWL chart (example shown below). 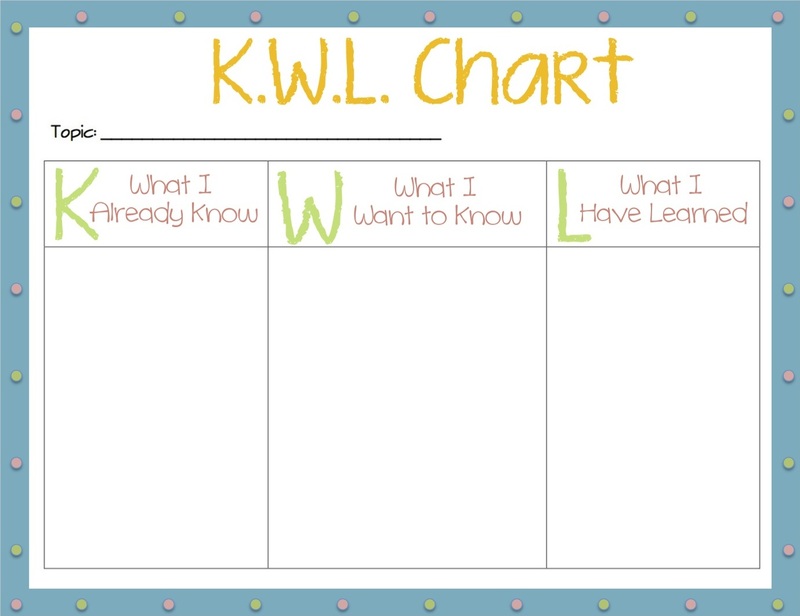 Depending upon the age of the children, the librarian could encourage participation by inviting participants to write their own ideas on the KWL chart. Additionally, bringing a nature expert to expand upon information presented in Simon’s book would be a great way to enrich a library program. Ideally, the nature expert would be able to bring real bats, spiders, rattlesnakes, rats, fire ants, and/or wasps, but even allowing children to interview the expert would allow the subject to come alive for children. 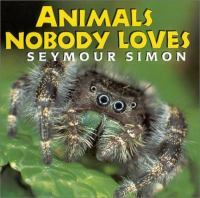 Animals Nobody Loves was nominated for a 2005 North Carolina Children’s Book Award and has received positive reviews from Booklist and Kirkus Reviews. Books in Print. Texas Woman’s University. (Accessed October 25, 2013). Book Index with Reviews. Texas Woman’s University (Accessed October 25, 2013). Vardell, Sylvia. 2008. Children’s Literature in Action: A Librarian’s Guide. Westport: Libraries Unlimited.